The result of that idea is a singular “throne” that has the indispensable table to support the mouse and keyboard but also “wraps” the player with space for a gaming PC of the predator range and in which the various supports, such as of the monitors, they are motorized to be able to adjust the experience optimally. We know that it weighs almost 220 kilos, but what we do not know (and maybe it is better that way) is the price of this amazing “monster”. 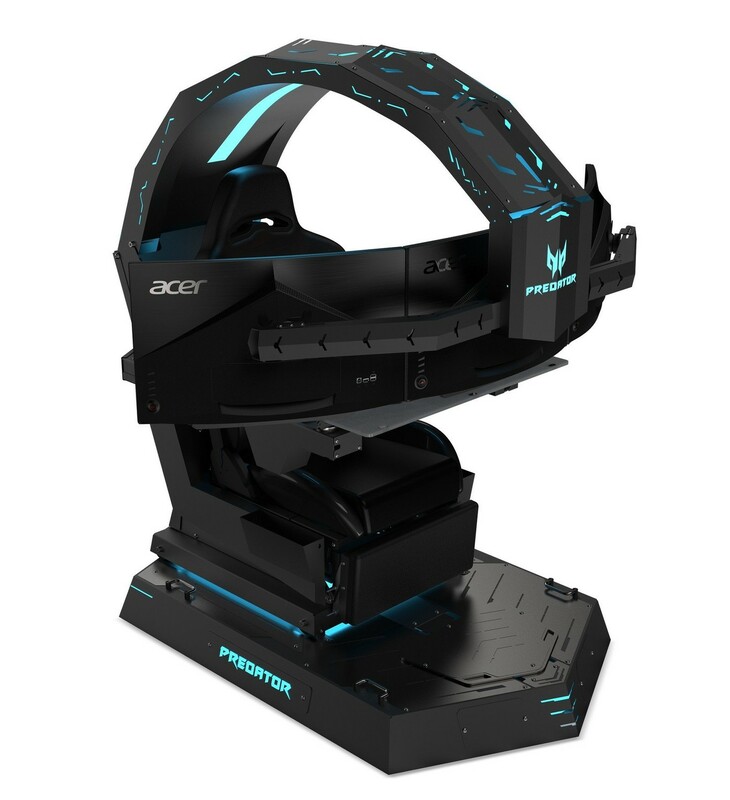 Playing a lifelong table with a mouse, keyboard and a monitor (or a multi-monitor system) is almost a joke when you contemplate the look of this gaming chair that is spectacular in its design, in which of course Acer has not forgotten to include various RGB lighting elements. The chair, which includes feet, has a height of 1.5 meters, has an ergonomic chair that reclines up to 140 degrees and that of course has a vibration system to make all experiences as immersive as possible. The support for 3 screens of 27 inches makes this assembly also applicable to all types of games, but especially interesting for example for flight simulators. 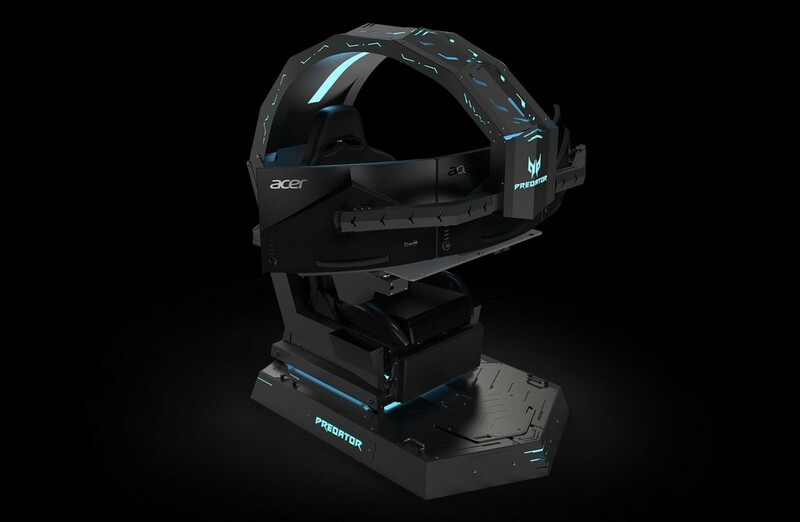 Acer has not indicated the date of availability or the price that this gaming chair will have, but probably it will not be anything cheap, and that is not to mention the PC and the monitors that should be included in the set to have a “throne for gamers” It must be an experience to enjoy.